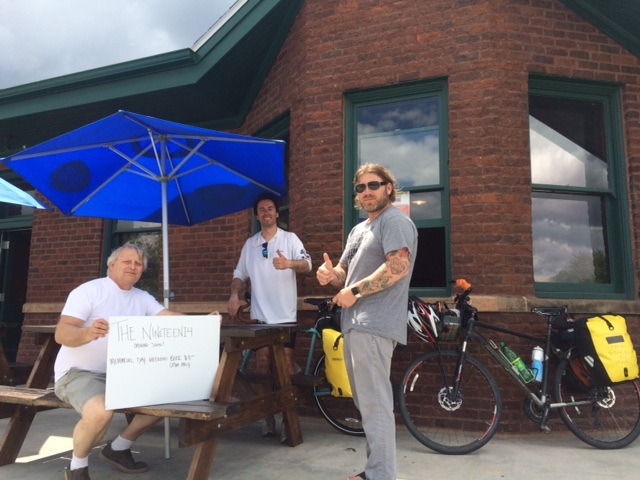 Attention Friends biking through Iowa: a new, cool place will open soon, right on the Raccoon River Valley Trail. It’s an awesome, old log train station, which Jeremy and John (the dad) are renovating and turning into a bikers’ haven. Not to mention how helpful they are. One of our tires blew up and they were more than helpful. When you stop by, ask why they named it The Nineteen14 – it’s a cool story.